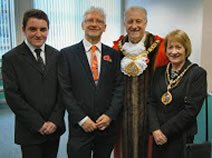 Ian Potts founded the St. Aidan's memorial service in 2010. Ian Potts presents a cheque to Carla Cuthbertson before a charity walk. 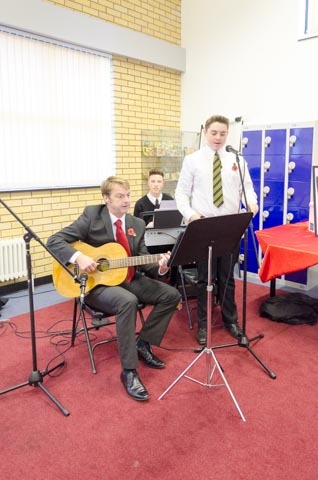 Nathan Cuthbertson pictured with a WW1 soldier. 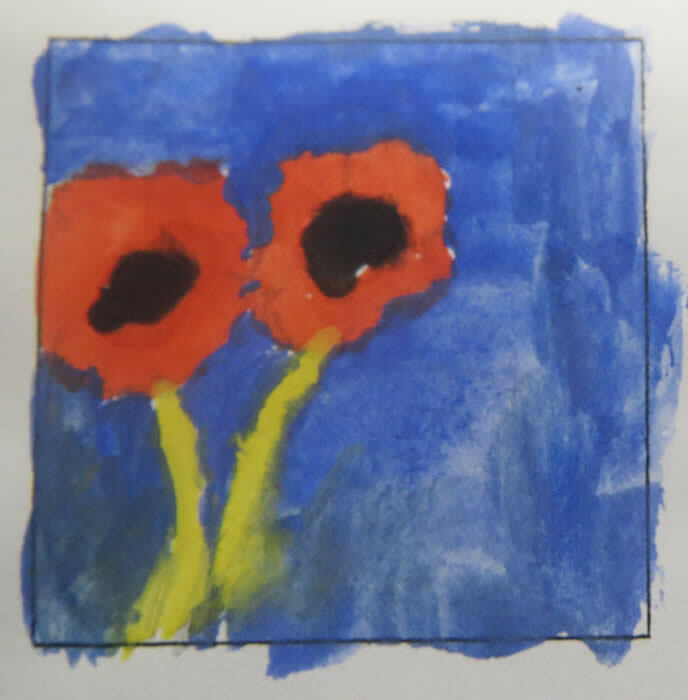 Here is that painting of the poppies by Virginia Acheson aged 101 years! 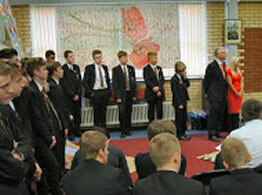 Paint a Poppy is supported by the Brothers in Arms. 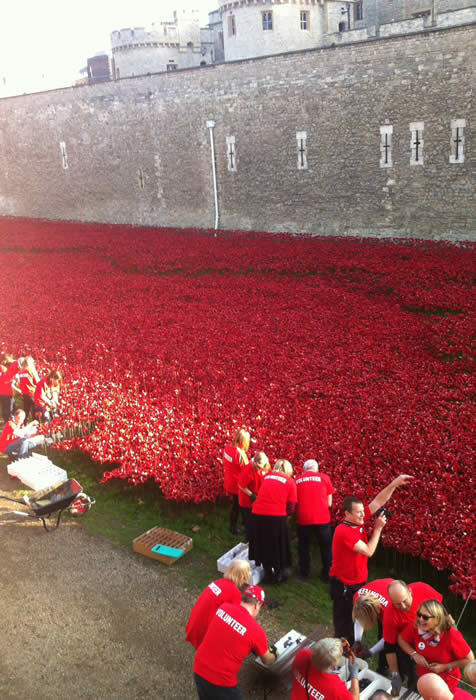 The Canny Space poppies from Sunderland Church. 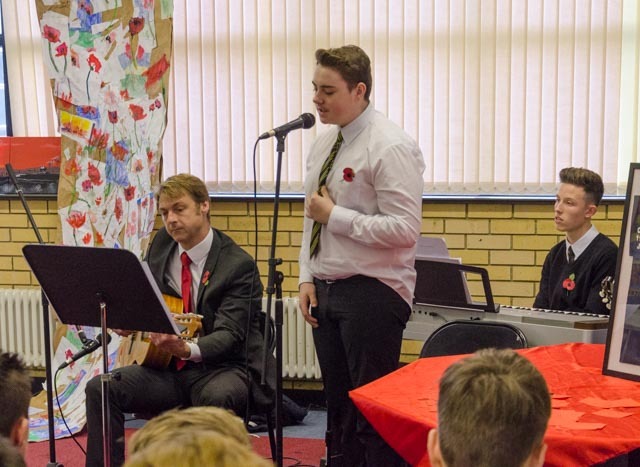 Ian Potts leads the Memorial Service, November 2014. Stephen Hammond chats to Virginia. St. Aidan's Catholic Academy, trench model. St. Peter's church book of remembrance. 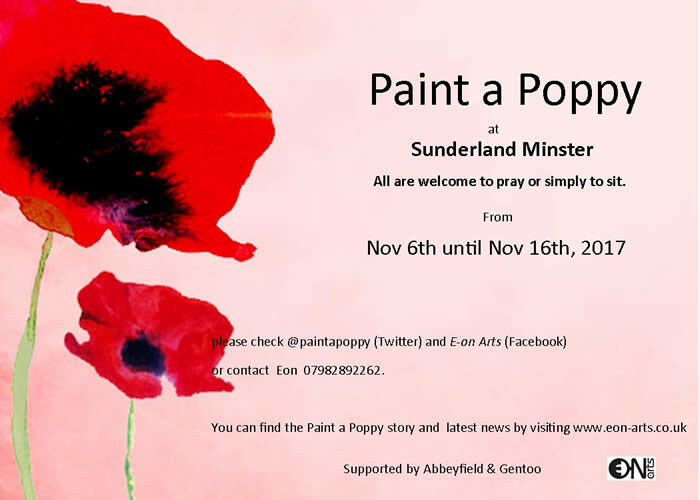 Paint a Poppy at Sunderland Minster 2017, from 7 - 16th Nov.
Scroll down to see the Paint a Poppy exhibition at Sunderland Minster 2016. 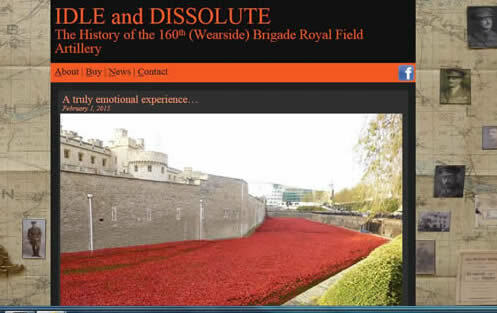 On August 4 2014, it was exactly 100 years since Britain first entered the First World War. 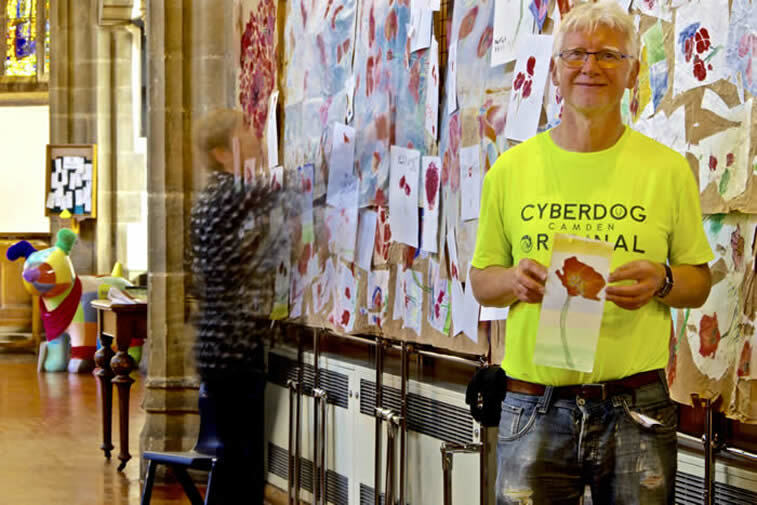 To commemorate this, Ian Potts led a series of workshops throughout Sunderland City working with community groups, schools and churches, encouraging people to paint a poppy. The resulting painting will be featured at St. Aidan's Catholic Academy's WWI Memorial Service on 11/11/2014. 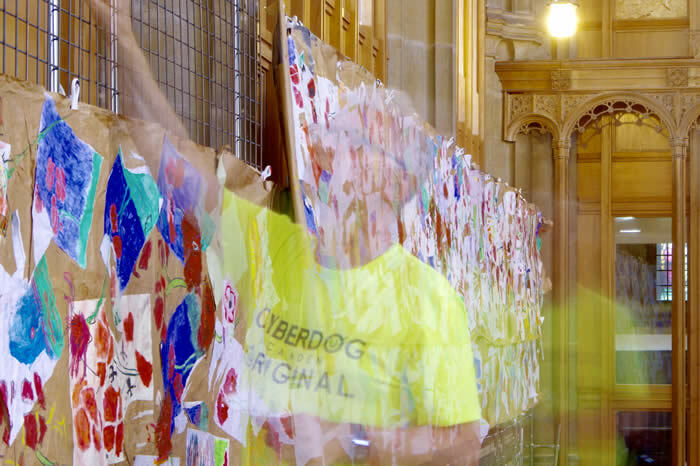 This work illustrates artist Ian Potts' interest in the power of art and its capacity to engender emotion and challenge how we perceive our place within the world. 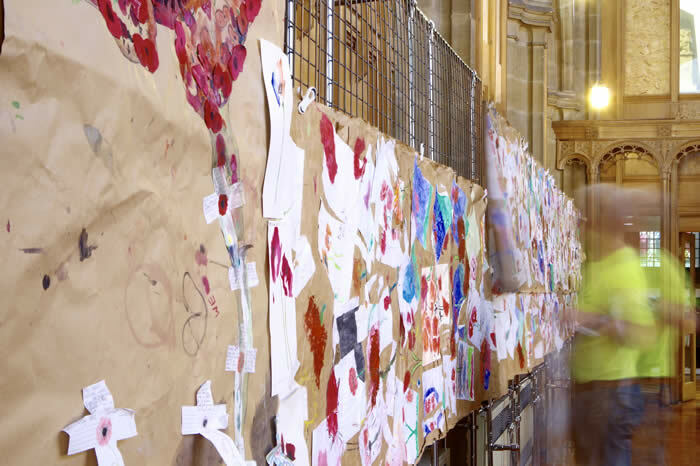 Ian hopes the piece will promote a complexity of both thought and feeling. 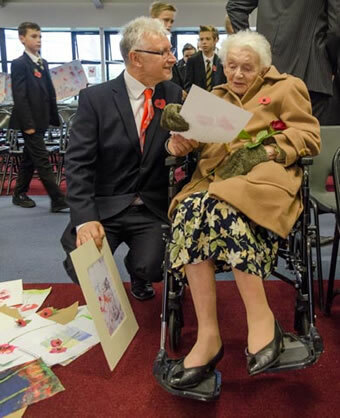 Paint a Poppies' oldest student, Virginia Acheson, born before the First World War began and pictured learning to paint for the first time at 101 years of age! 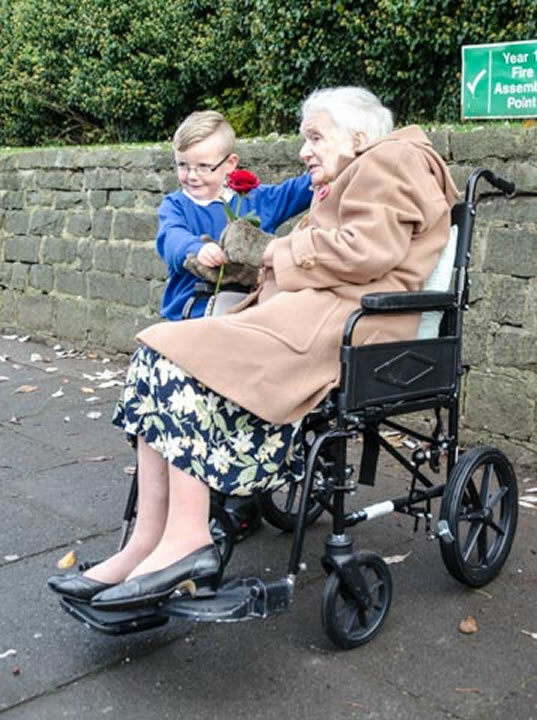 She now lives at Glenholme carehome in Roker. 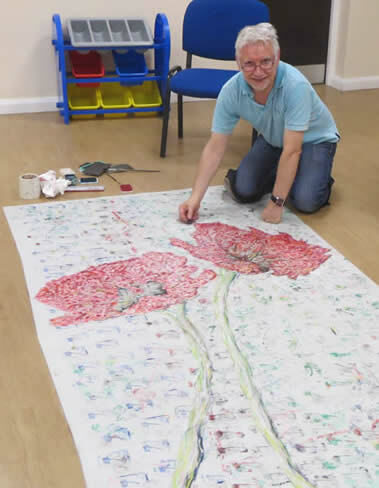 Ian Potts and residents painting poppies at Falstone Carehome, Roker and Cuthbertson Court in Seaburn, Sunderland. 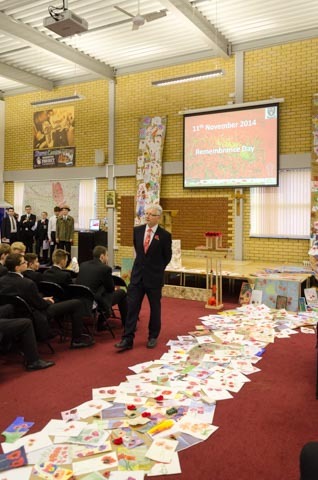 Ian Potts helped pupils from St. Benet's Primary School in Fulwell, Sunderland chalk some poppies. Paint a Poppy students have ranged in age and abilities from serious club painters to those who had never picked up a paintbrush up before. The oldest participant is the inspirational Virginia Acheson from Glenhome Care Home at Roker who painted for the first time at 101 years of age (the only artist who was born before the outbreak of WWI.) Virginia’s great age got me thinking about who the youngest participant was. 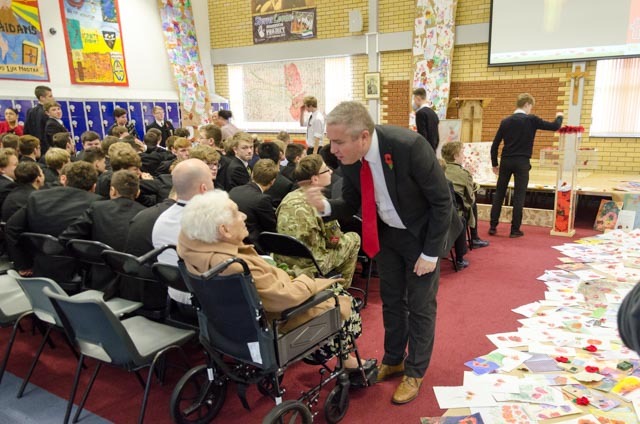 Seeing as I had been recently working in Mill Hill School, I asked Head Teacher Dean Marshall who the youngest pupil involved in the ‘Paint a Poppy’ workshop was. He told me it was four year-old Kai Cuthbertson. 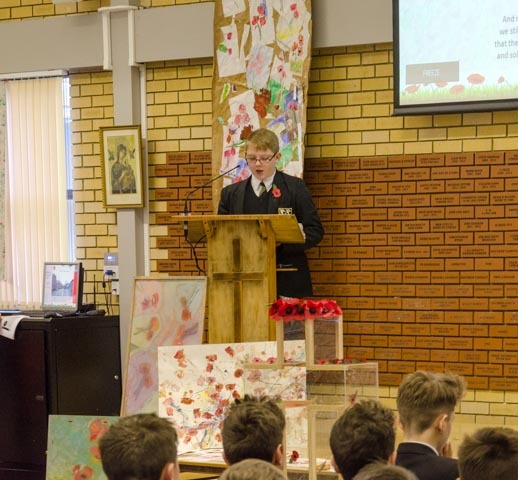 The name ‘Cuthbertson’ struck a chord with me, as it was the tragic death in Afghanistan of Nathan Cuthbertson, one of my former students, who started the whole process culminating in ‘Paint a Poppy'. 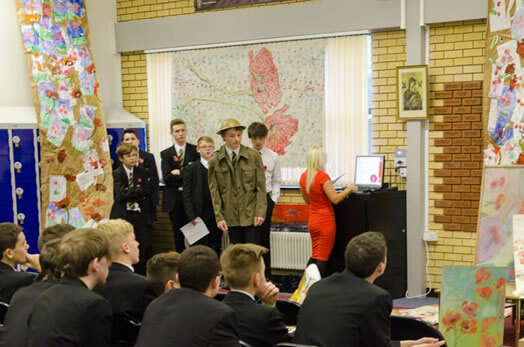 Click photos to find out more about the fantastic work done byTom and Carla and their Brothers in Arms charity. 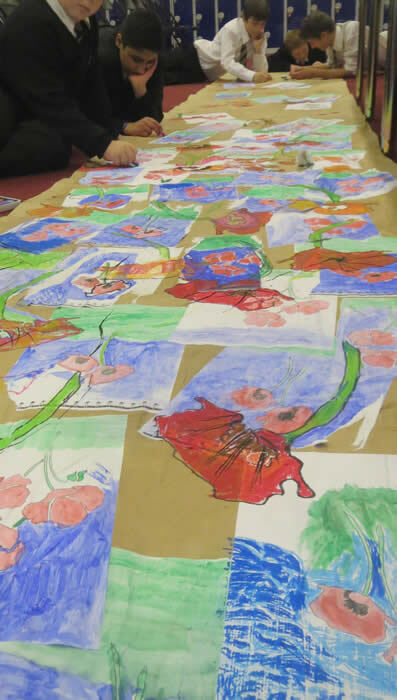 Artist Ian Potts helped pupils from Mill Hill Primary School at Doxford Park, Sunderland to print some poppies. 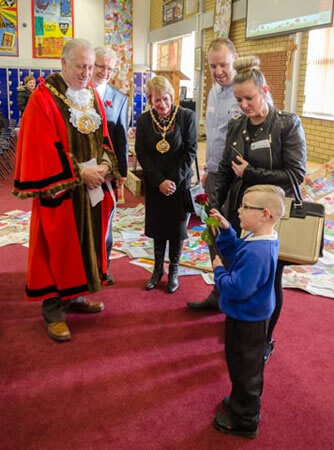 Kai printing his poppy on the Mill Primary School Installation watched by artist Ian Potts and fellow pupils. 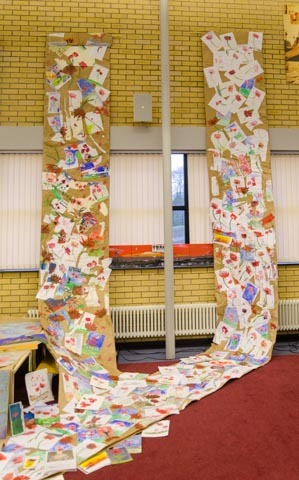 Just some of the incredible documentation sent to Mill Hill Primary school after the Eon-Arts workshops. 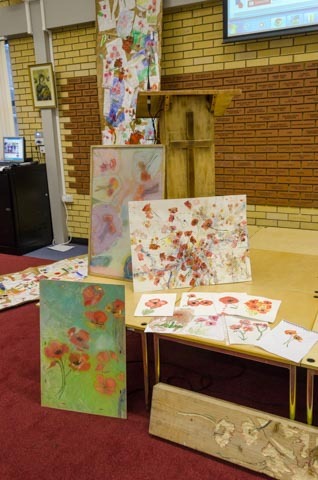 Amazing stories from the Paint a Poppy workshops! 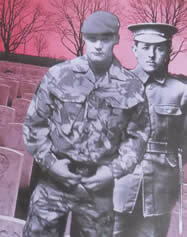 Kai printed the red poppy (shown to the left) to honour his second cousin's Nathan's memory. Nathan can be seen above dressed in his 2 PARA uniform that he was so proud to wear. 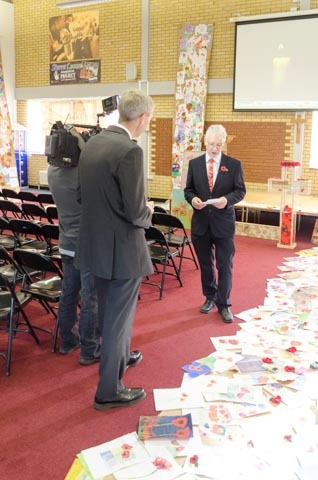 Bob Bell (pictured right) from Whitburn Art Club with some of his work for the Eon-Arts Paint A Poppy project. 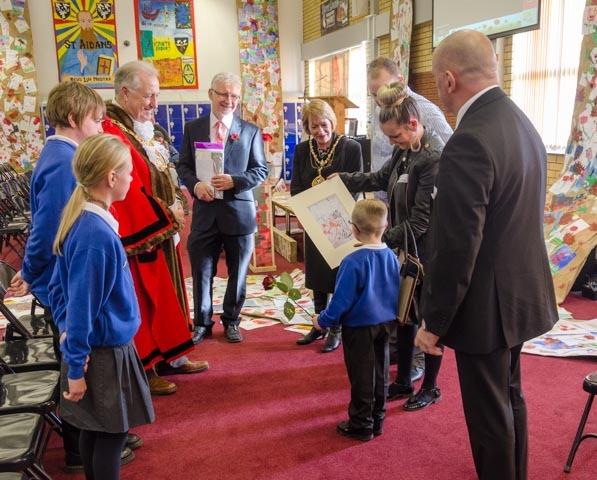 Bob produced a fantastic collection of work in response to the appeal for images by artist Ian Potts, including some pictures of family medals. 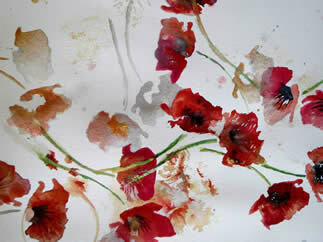 produced at a recent Eon-Arts Paint a Poppy session at the school. 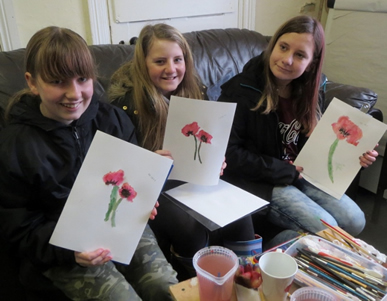 Some of the painters at Chillingham House, Monkwearmouth enjoying an early morning Eon-Arts painting session. 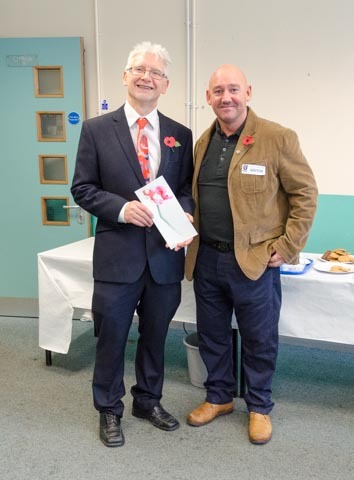 Back home, Ian Potts, recently visited the new Springtide Cove housing 21 developement on the site of Victor/Dock street, which is very close to where he was born. 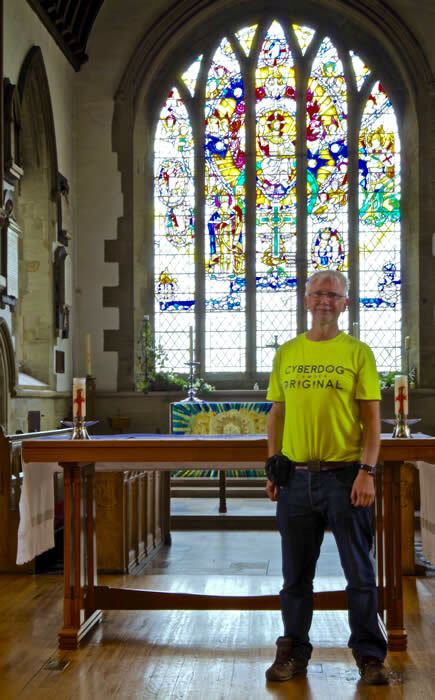 The old streets are long gone but Ian still has an affection for the area. Vicky, Roger and Maria. three generations of painters. 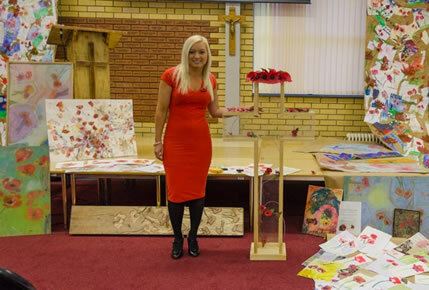 Lucy and Pat at a Paint a Poppy workshop at H.O.P.S. Good Bye and God bless you all. I can say I fought for my country. 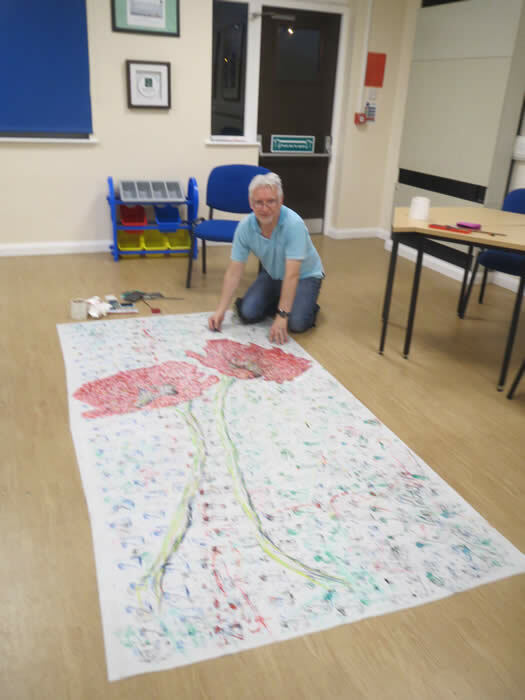 Ian Potts would like to thank Barbara Hughes and Bob Bell (pictured here adding their own finishing touches to the Paint a Poppy panels of poppies) for their time and help in creating the final installation. Ian shows Virginia her poppy painting. 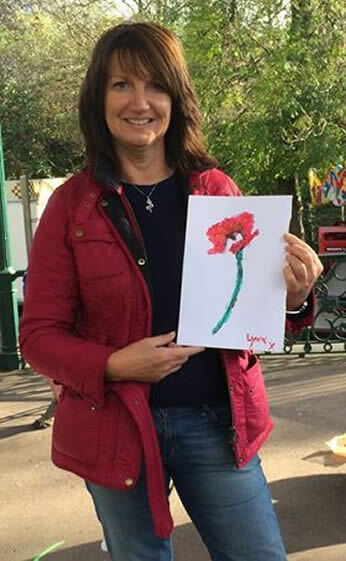 Viginia tells her Paint a Poppy experience. 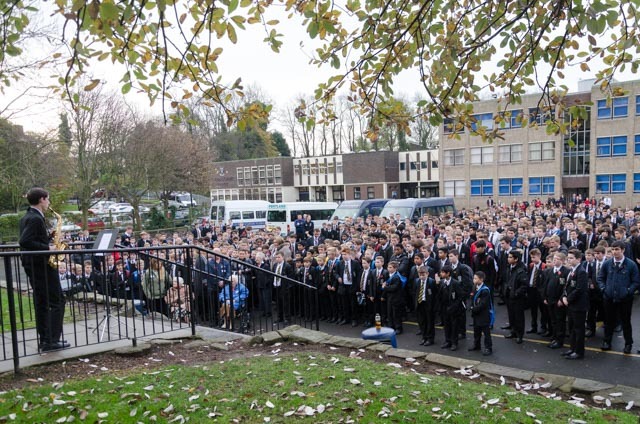 Please click to view the 360 degrees photograph by Chris Foreman above. Ian Potts during the Boxing Day 2014 workshop in the Park Keepers Lodge in Roker Park. 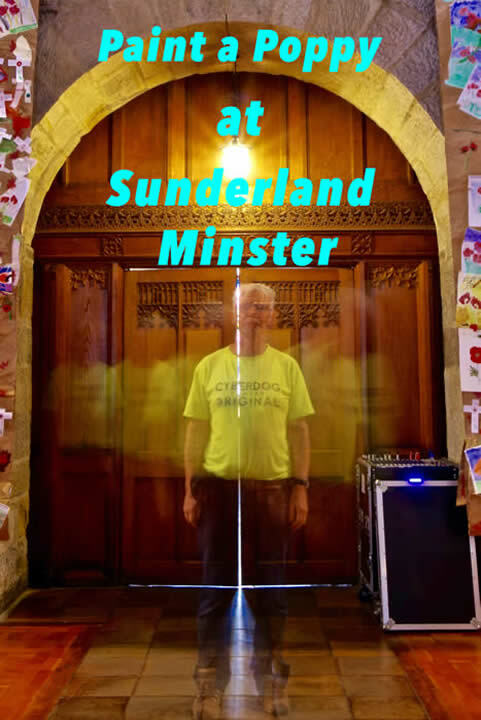 Ian would like to thank Susan Nolan and CEED for their help with the Roker Lodge Installation which ran from November 2014 untill February 2015. 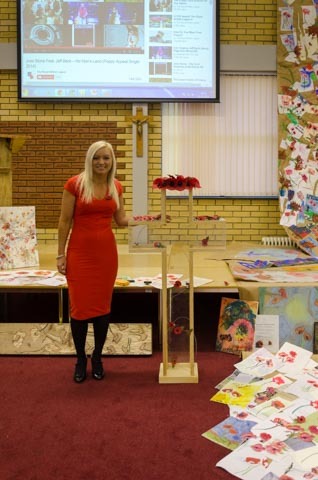 The Paint a Poppy winter installation was displayed here in the Park Keepers lodge in Roker Park, Sunderland. 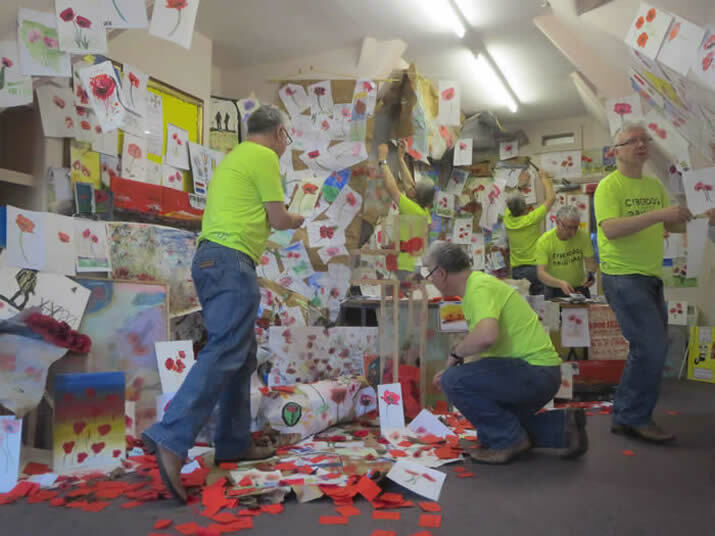 Spring Paint a Poppy Installation, the Briery Attic. Ashbrooke 2015. 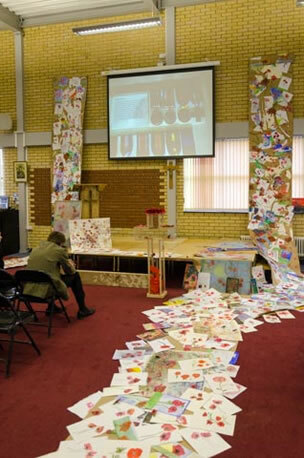 The Poppy Installation is currently on display in The Briery Attic in St. Aidan’s School, where it has attracted musicians and poets who have contributed their own poignant reflections through words and music to the ever growing body of work. 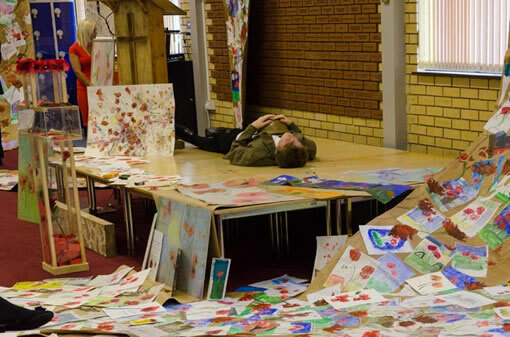 Redby Primary School Paint a Poppy display. 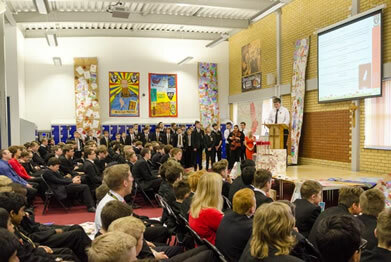 Great day for Paint a Poppy at St. Mary's RC Primary School. 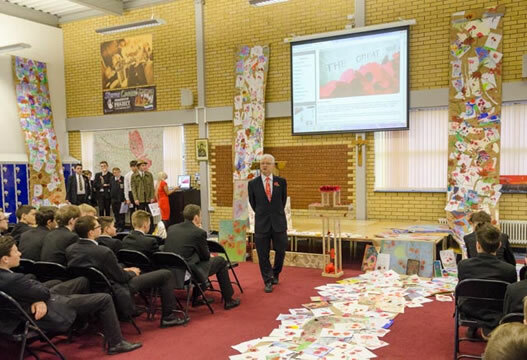 Great day for Paint a Poppy at Redby School. THE bravery of a ‘forgotten’ band of Wearside war heroes is to finally be remembered – 100 years after fighting for King and Country. 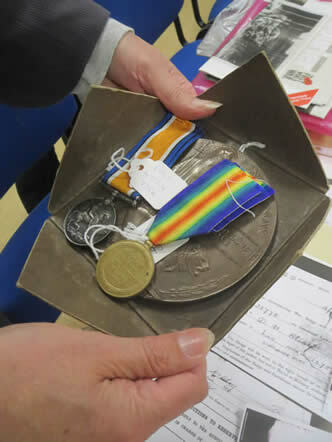 The soldiers of the close-knit ‘Idle and Dissolute’ unit saw action across Europe in battle after bloody battle during the Great War – winning dozens of gallantry awards. 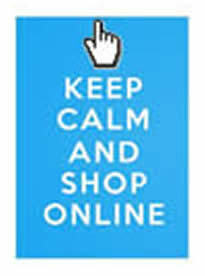 Click to connect to Phil's site. 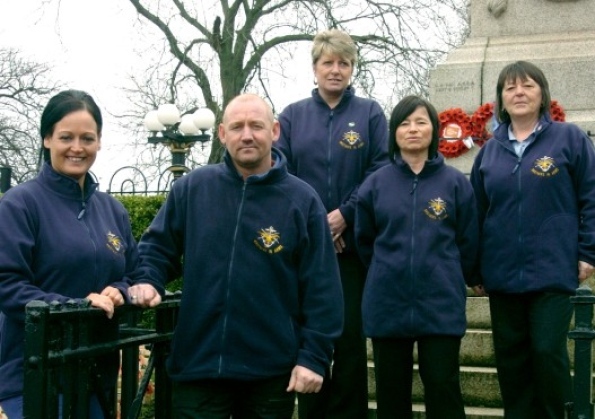 Brothers in arms was set up in 2009 by parents who had lost a child in the armed forces who wanted a memorial built in the City of Sunderland as there are only memorials in Staffordshire and Iraq for soldiers killed in service since WW2. Sunderland has the biggest service outside of London so it will be a fitting tribute to recognise the people of the North and for the sacrifices the armed forces are making for us. 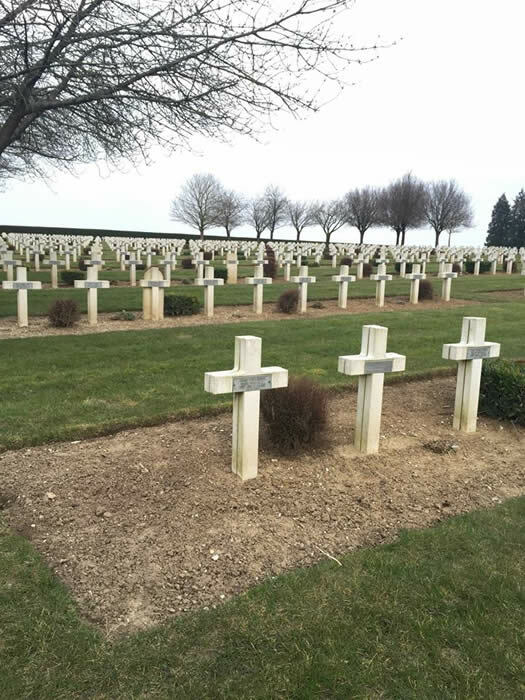 Click to connect to the Brothers in Arms site.